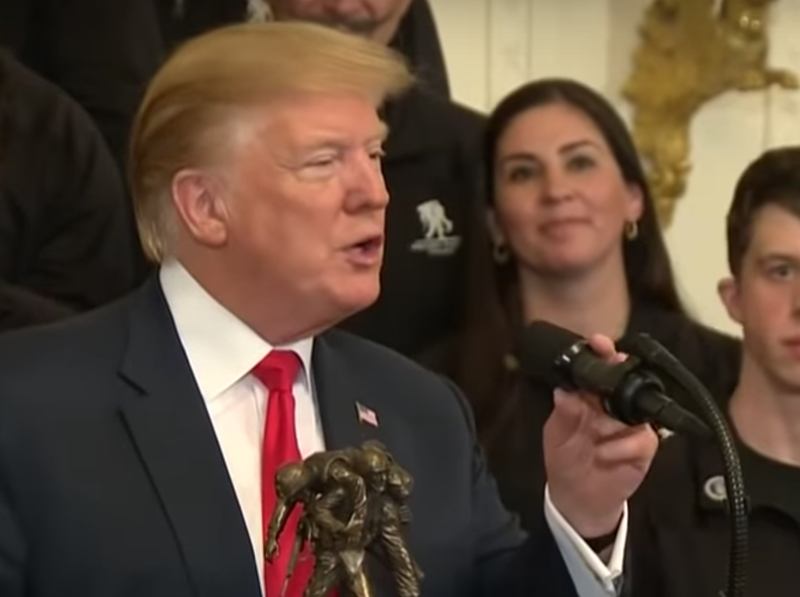 On Thursday 18 April 2019, in the East Room of the White House, President Trump hosted cyclists of the Wounded Warrior Project - Soldier Ride. This event took place after Attorney General William Barr's press conference regarding The Mueller Report. President Trump was given a small statue. Just afterward, he said (beginning at 1:14:21 in the above video): "Well, this is really beautiful. 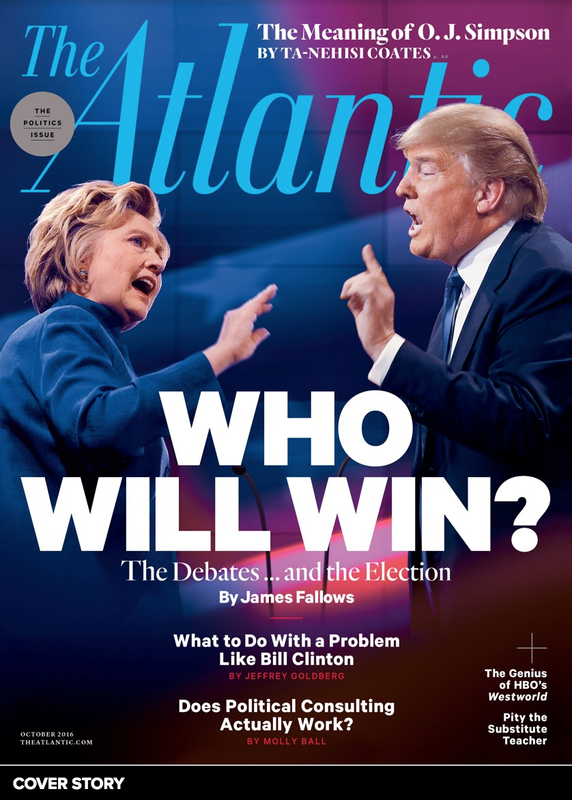 This will find a permanent place - at least for six years [audience laughter] in the Oval Office. Is that okay? [audience laughter] I was going to joke, General, and say at least for ten or fourteen years, but we would cause bedlam [audience laughter] if I said that, so we’ll say six..."
What follows is a partial nonverbal analysis of Donald Trump during several crucial moments of this exchange. 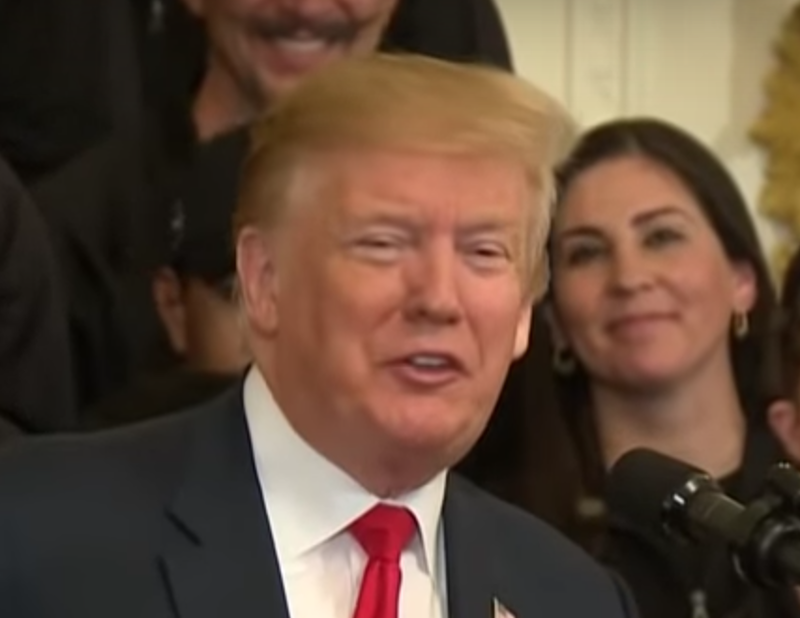 During 1:14:24, just prior to Donald Trump saying, "... at least for six years ...", he displays a Jaw Jut. A jaw jut is a signal of a surge of adrenaline. Watch the video at regular speed, then at 1/2 and 1/4 speeds - and then, once again at regular speed. Donald Trump often displays this nonverbal tell just prior to delivering what he perceives to be powerful words and phrases. It's a signal of him amplifying his mental-emotional tone to one of a higher alpha state (aka, "dialing up his alpha"). As he says, "six years" (1:14:26 - 1:14:27), Donald Trump displays what is known as a Lip Curl. In this example, we see it in a lateral profile. Now look back, one-to-two seconds prior to this lip curl (1:14:25 - 1:14:26). Trump pulled on his microphone. This is another common MAP (Manipulator, Adaptor, Pacifier) seen in conjunction with alpha up-regulation associated with an adrenaline surge. 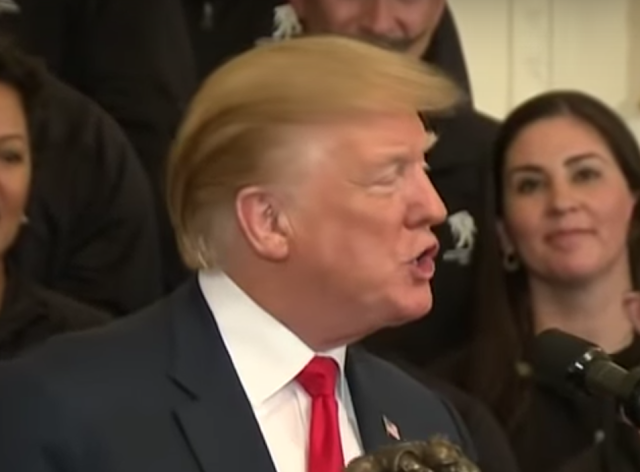 The President frequently exhibits this microphone false-adjustment. During, 1:14:41, just after he says, "bedlam" - as he says, "if I said that" - Donald Trump clearly is suppressing laughter. 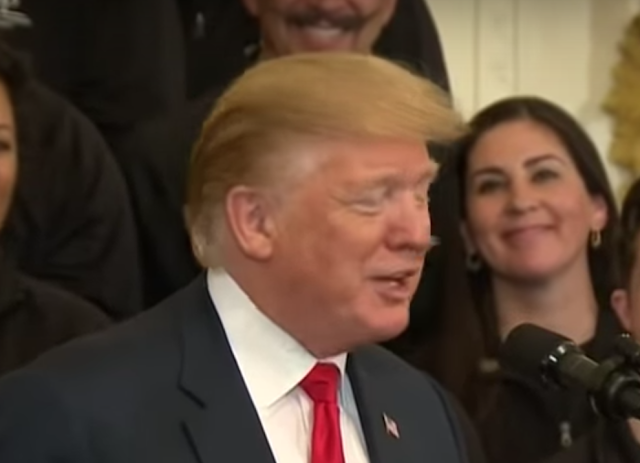 During 1:14:42, as he says, "say six", the President displays another, more pronounced lip curl. Trump is facing the camera, near-directly, in this angle. This is not the first time Donald Trump has mentioned extending his presidency beyond the two-term limit allowed under the Twenty-Second Amendment. In 2018, during a fundraiser at Mar-a-Lago, Trump complimented Chinese President Xi Jinping regarding his abolishment of term limits, saying, "He’s now president for life. President for life. No, he’s great. And look, he was able to do that. I think it’s great. Maybe we’ll have to give that a shot someday." SUMMARY: During this exchange, Donald Trump was not joking regarding presidential term limits. His nonverbal behavior clearly projects braggadocio, bravado, and hubris. Moreover, he's suppressing sincere laughter (joy-happiness) at his suggestion of public bedlam. Trump's behavior is also passive-aggressive. But more specifically, and of profound importance, he's quite deliberately Trial Ballooning. He's thinking past a second term. He wants a third term. Suggesting this plan in a public forum gives him an adrenaline rush. He is planting seeds and pushing boundaries. This is a common manipulative technique used in many scenarios. In a political context, he can be said to be manipulating the Window of Discourse - also known as Overton's Window ("the range of ideas tolerated in public discourse"). Body Language Analysis No. 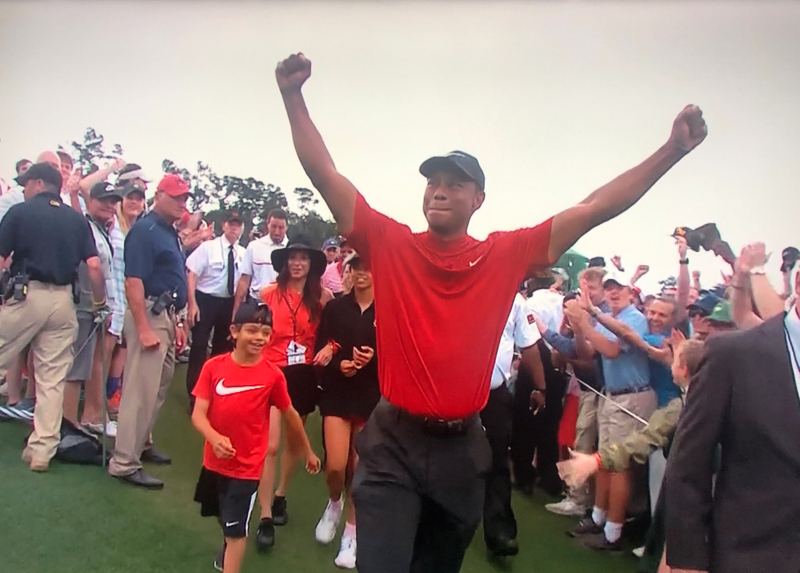 4377: Donald Trump, "These aren't people, these are animals"
Earlier today, Tiger Woods won his fifth Masters - his first since 2005. Woods has not been victorious in a Major since the 2008 US Open. Tiger, has who has fifteen Majors wins to his credit - is second only to Jack Nicklaus' eighteen. Some are already calling Tiger's comeback the greatest in sports history. The image above (and the accompanying close-up) taken shortly after his win, captures some crucial nonverbal tells. Note Tiger's lips are turned inward and held between his teeth. This display is known as an Inward Lip Roll (ILR). It's an extremely common signal of the suppression of strong emotions - good, bad, and bittersweet. Although it's not always successful, an inward lip roll will often prevent our thought-emotions from spiraling out of control - and it also helps to muzzle our full facial expressions. As with 99.99+ % of nonverbal behavior, the inward lip roll is almost always subconsciously driven. Woods' mandible is momentarily thrusting forward. This dynamic is a Jaw Jut - a signal of an adrenaline surge. Holding one's arms high - along with the formation of fists are also manifestations of a rise in adrenaline. Intriguingly, if you adopt this configuration - right now - your adrenaline will also ascend (Go ahead, try it - Stanislavski in your living room). Tiger's mid-facial area is highly contracted too. Specifically, his cheek muscles are tightened and pulled laterally (not upward as they would be if he were smiling). Moreover, his mustache area (the area above the upper lip and below the nose) is also quite taut (more so than with the majority of inward lip rolls). In addition, Woods' nostrils are also widely flared. Whenever assessing body language, one should never overlook the eyes (most people are profoundly unaware of what nuance their own eyes are projecting in real time). Tiger's eyes are partially closed. This closure is active, not passive - with his lower eyelids showing significant tension. You may notice that Tiger Woods' face is also reddened. In this context, it's a signal of both peripheral vasodilation (blood vessels increasing in diameter just beneath the skin, a form of blushing) - as well as decreased venous return secondary to an (unconscious) relative Valsalva maneuver. 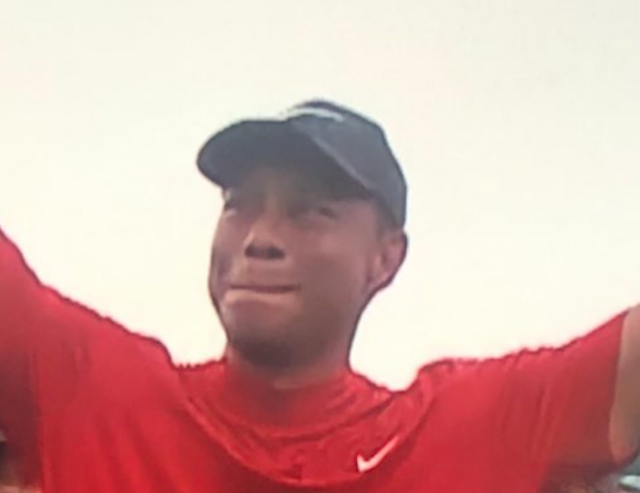 SUMMARY: Captured shortly after his 2019 Masters victory, this image of Tiger Woods shows him in an understandably emotional moment - in the midst of an adrenaline surge - whilst also suppressing tears. 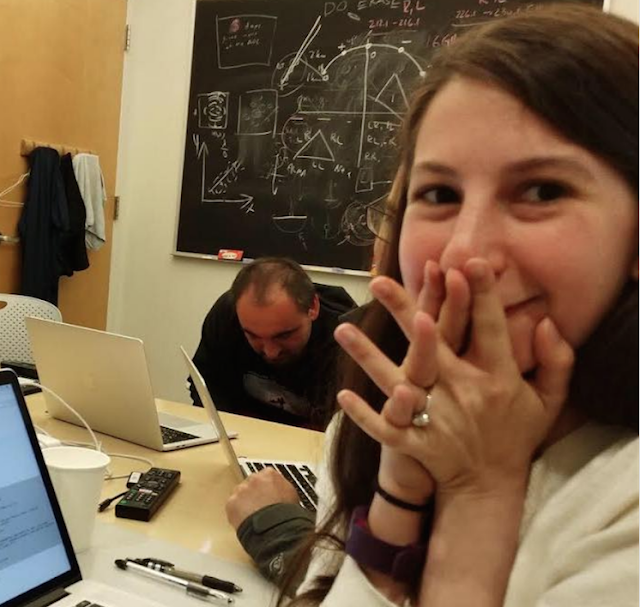 Katherine Bouman has become the public persona for the first-ever imaging of a Black Hole. She's an American imaging scientist and an incoming assistant professor of computing and mathematical sciences at CalTech. Her Ph.D. thesis was titled, "Extreme imaging via physical model inversion: seeing around corners and imaging black holes". As a member of the Event Horizon Telescope team, Dr. Bouman helped capture this first image of a supermassive black hole - at the center of Messier 87 (Also known as M87 - a truly gargantuan galaxy composed of a trillion stars - centered approximately 53.49 light years from Earth). This image is profoundly symbolic and significant in the history of science - for the photo matched the theory - and thus, was just what astronomers expected. 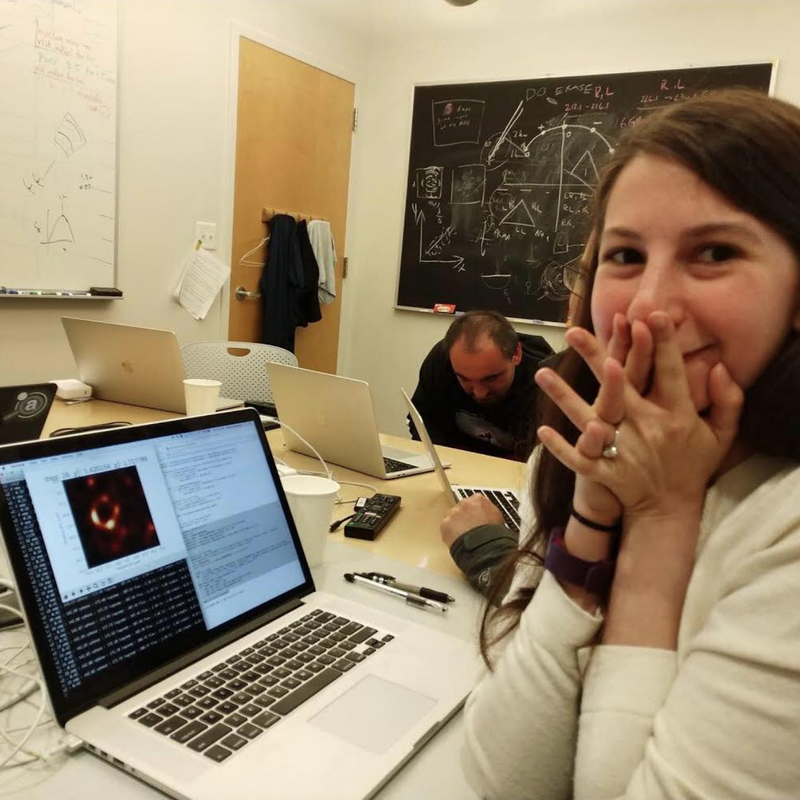 This photo, from Katie Bouman's Facebook post, is captioned, "Watching in disbelief as the first image I ever made of a black hole was in the process of being reconstructed". From a nonverbal perspective, what does this photo of Katie Bouman tell us? Although we can only see a portion of her mouth, it does seem to be configured in a true, sincere simile. Her left mouth corner - and a hint of her right corner - are both directed primarily upward and also laterally. Another crucial component of a true smile is seen displayed by Dr. Bouman's cheek muscles (zygomaticus major). These contracted and vectored upward as well. If her hands weren't covering her mouth, we'd only see her upper teeth. We can see that Katie Bouman's upper and lower eyelids are partially closed. Moreover, her lower eyelids each have a dynamic, concave-up furrow present. This evanescent finding is required of a true, sincere smile (a Duchenne Smile). A seldom noted, but crucial part of a sincere smile is a non-contracted forehead. Note that Dr. Bouman's forehead is relaxed. Dr. Bouman is also blushing. While not a required element of a true smile of joy-happiness, when accompanying the above-described characteristics - blushing is a sincerity amplifier. As noted previously, Katie Bouman's hands are covering her mouth. This mouth covering is a signal of emotional processing. Said another way, while the logical portion of her brain knew what was happening - the emotional part of her brain was a more than a bit overloaded processing the event and its the ramifications. 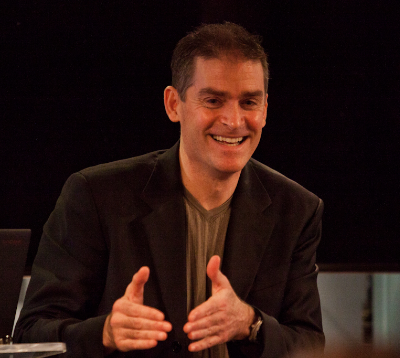 Fascinatingly, during moments of dramatically good, bad, or surprising news - the covering of one's mouth - which often occurs rapidly (along with covering of portions of the cheeks and/or nose) - not only tells us the person's emotional characteristics in that moment - but this dynamic also speaks to a significant part of that person's overall character. Those who exhibit this behavior will have significantly higher sincerity and empathy levels. Yet, Katie Bouman is displaying some emotional dissonance here. 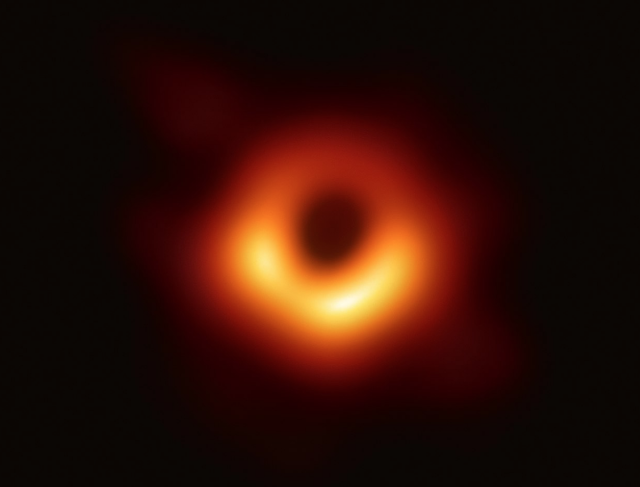 For this photo was taken at the moment when the first (of many) images of the M87 Supermassive Black Hole were being compiled. These were eventually amalgamated into the complete picture (shown above) which we've all since become familiar. In this early stage of this scientific moment, Dr. Bouman, naturally, had some anxiety - which is, in part, manifested with her straight, intertwined fingers. In this context, the collective positions of her upper and lower arms, along with her shoulders - which are all drawn inward and covering her chest - is an anxiety amplifying cluster. SUMMARY: Katie Bouman's smile is a true, sincere smile of joy-happiness. She's also experiencing some (quite expected) anxiety - as well as some emotional processing during the unfolding of this historical event. On Tuesday, 9 April 2019, Attorney General William Barr testified before the US House Appropriations subcommittee. The hearing was intended to address the Justice Department budget. Democrats, however, took the opportunity to ask questions regarding other topics - including special counsel Robert Mueller's investigation into Russian interference in the 2016 US election. 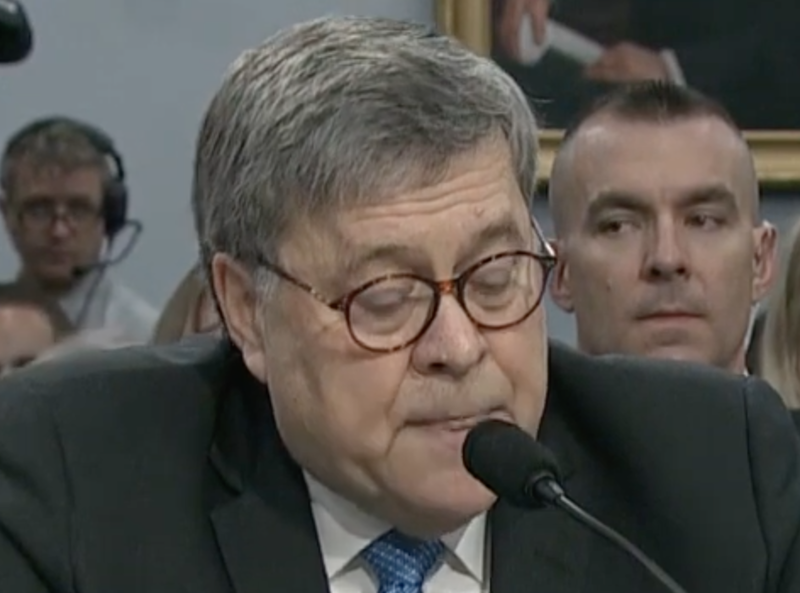 What follows is a partial nonverbal, verbal, and paralanguage analysis of a portion of AG Barr's questioning by Congresswoman Nita Lowey. NITA LOWEY (beginning at 7:13): Did the White House see The Report, before you released your summarizing letter? Has the White House seen it since then? Have they been briefed on the contents beyond what was in your summarizing letter - to the, Judiciary Committee? WILLIAM BARR (beginning at 7:30): Um, I've said what I'm going to say about The Report today. Ah, I've s- 've[stutter] issued three letters about it - annnd [sic] I'm - I was willing to discuss - ahhh the historic information of how Thee [sic] [pause] Report came to me and my decision on Sunday - buuut, I've already laid out the process that is going forward, ah, to release these reports, ah, hopefully ah within a week - and I'm not going to say anything more about it until the report is out and everyone has a chance to look at it. 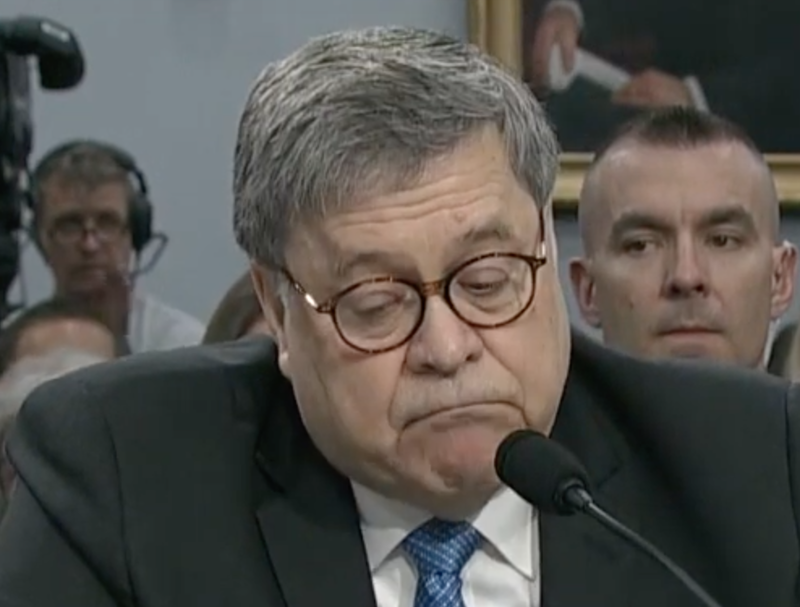 As soon as Representative Lowey says, "White House" ("Did the White House see The Report" ...), Attorney General Barr Displays an Inward Lip Roll (7:13 - 7:17). An inward lip roll is the psyche's attempt to suppress both the inner crescendo of strong emotions as well as their corresponding facial expressions. In this context, an extended blink and/or increase of blinking frequency, while not required as part of an inward lip roll (ILR), acts as a nonverbal amplifier. Note that Barr's forehead muscles are also contracting (across the entire width) and elevating. This is in the opposite direction of his eyelids during a blink (downward). These adjacent tissues moving in opposite directions are yet a further signal of blocking behavior - a manifestation of psychological push-back. Just after Rep. Lowey says, "Has the White House seen it" (and as she is saying, "since then? 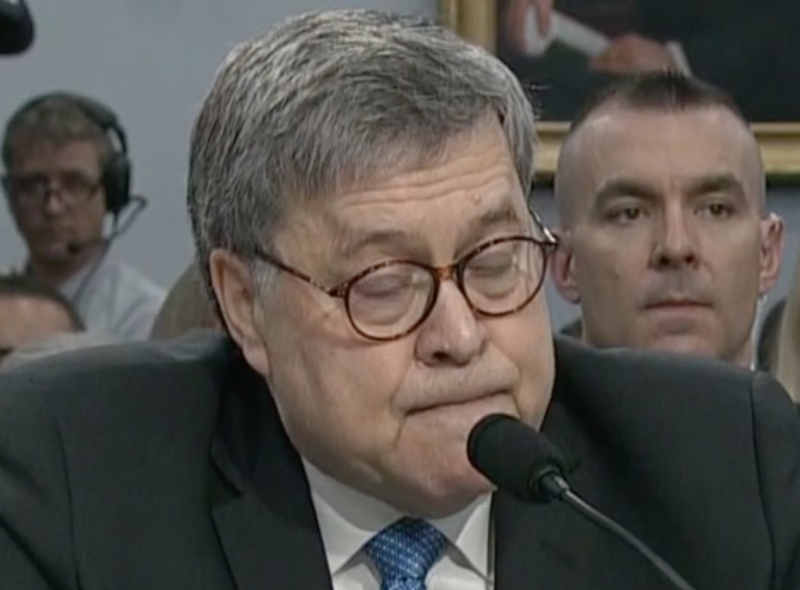 "), AG Barr's jaw (mandible) moves to his right (7:20 - 7:21). This is what is known as a Jaw Confessional. A Jaw Confessional is a nonverbal signal characterized by a quick and short-duration sideways (lateral) movement of the jaw. It indicates shame, regret, embarrassment. However, it's of profound importance here that these emotions are NOT expressed verbally. Please view the video, as this dynamic is somewhat subtle and not captured well in a single image. This next expression (immediately above), which Barr makes just prior to saying, "issued three letters about it" (7:36) is one of Feigned Consideration and is NEVER made by a person who's in a state of a beta mindset, rather only by individuals who are feeling superior to the others around them. It indicates a classic alpha emotional tone and a not-so-subtle arrogance. 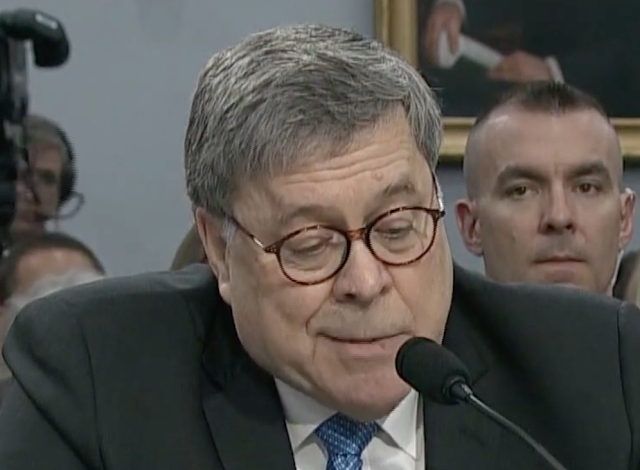 During 7:58, as he says, "not going" ("I'm not going to say anything more about it until the report is out"), Barr displays a Microexpression of Contempt combined with a partial smile of Schadenfreude. Barr is taking true joy-happiness in snubbing Congresswoman Lowery. 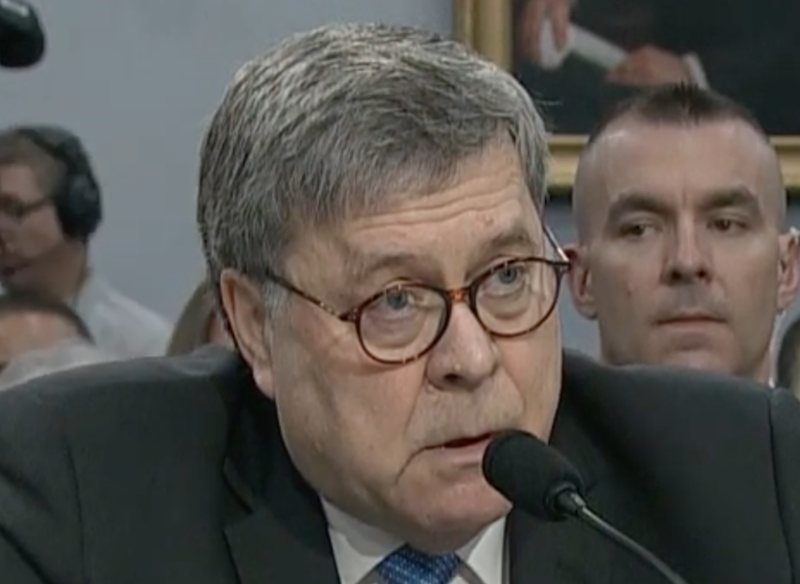 Just after he says, "everyone has a chance to look at it", AG Barr displays this expression (during 8:03). This facial configuration is indicative of Disgust combined with Impatience. From a Statement Analysis standpoint, what's most obvious in this exchange is that AG Barr didn't answer any of Congresswoman Lowey's questions. He stonewalled her. Barr's use of the word, "hopefully" - is noncommittal and indicates a verbal nonchalance/dominance display. Also, take note of Barr's pronouncing the word "the" as "thee" - with a "long e" (ē) - "Thee [pause] Report". This verbal pattern is a subconscious/edge-of-consciousness stalling tactic which is associated with deception and inflated/false importance. Note also, Barr's use of the phrase "going forward". This word combination is used by those who perceive themselves to be alpha relative to whom they're speaking - and who are also pursuing their agenda. It's a strong signal that the speaker is trying to appear as if they're being objective - yet they're being highly subjective. SUMMARY: Attorney General Barr's nonverbal, verbal, and paralanguage behavior during this exchange with Congresswoman Nita Lowey indicates, with extremely high probability, that President Trump has seen the Muller Report in full. 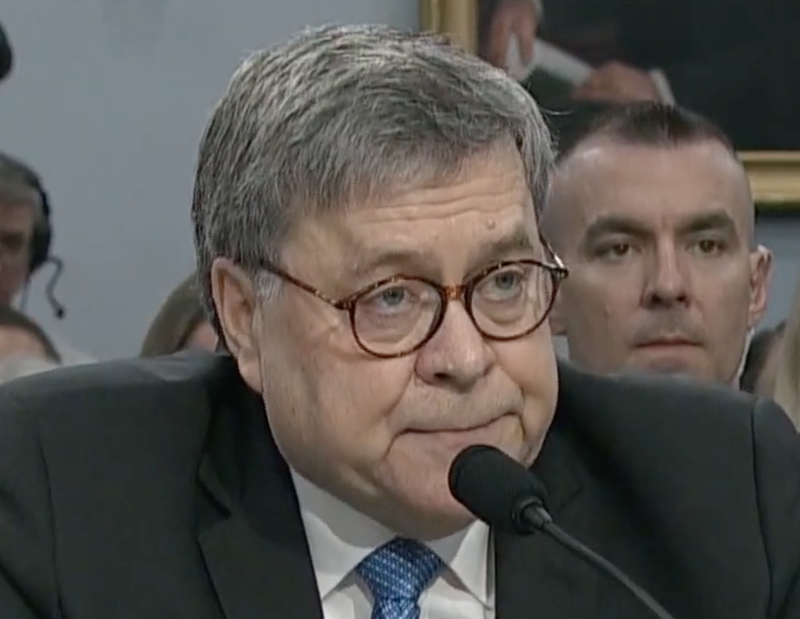 Moreover, William Barr is taking pleasure (Schadenfreude) in his stonewalling - by not releasing Robert Mueller's Report. In addition, he displays contempt, impatience, and disgust toward Congresswoman Lowey. He believes he is highly alpha to her beta. On Friday 5 April 2019, while at two different campaign events in Iowa, Beto O’Rourke told the crowds that Donald Trump’s rhetoric echoes Nazi Germany, saying, "Putting kids in cages? ", and "Calling human beings an infestation is something that we might’ve expected to hear in Nazi Germany", along with, "the rhetoric of a president who not only describes immigrants as rapists and criminals, but as animals and an infestation," as well as, "Saying that neo-Nazis and Klansmen and white supremacists 'are very fine people'? You draw your own conclusions, but this is not something that I expected to hear a president of the United States of America ever say." One of Trump's statements to which O'Rourke was referring was from an event on 16 May 2018 (please see the above video). During a White House roundtable discussion on immigration policy, President Trump said, "We have people who are coming into the country - or trying to come in - we're stopping a lot of 'em. But we're taking people out of the country - you wouldn't believe how bad these people are. These aren't people - these are animals..."
What follows is a partial nonverbal analysis of the President's statement from that day. 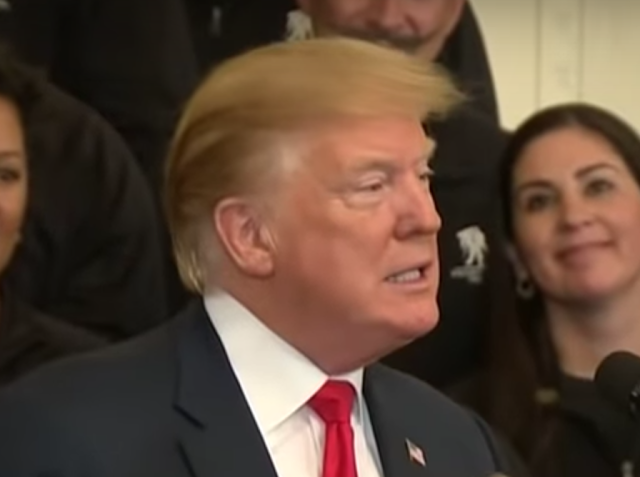 A split second after he says, "people" ("These aren't people"), President Trump displays a classic expression of Disgust. 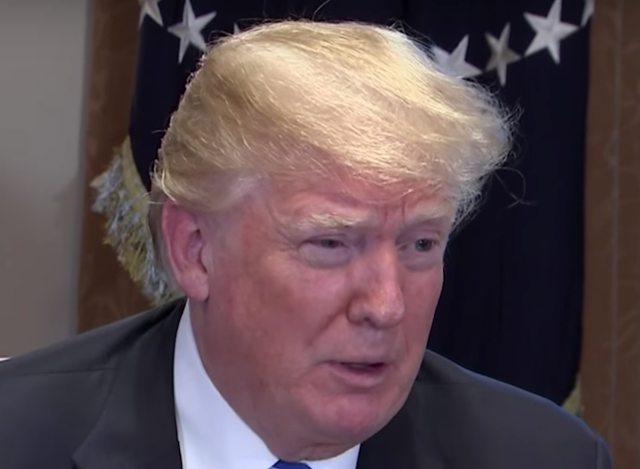 Just as he finishes saying the end of the word "animals", Donald Trump displays what is known as a Lip Curl. SUMMARY: President Trump's nonverbal behavior exhibited during this video, shows us a strong emotional display of disgust. Disgust was the most common facial expression seen on the faces of Nazi soldiers who staffed Auschwitz-Birkenau, Bergen-Belsen, Buchenwald, and the many other concentration camps during World War II. Contempt was also very common. In order to perpetrate, encourage, or tolerate mass violence, hate crimes, and racism - the human mind must dramatically rationalize - by regarding the victims as "others" - believing them to be of a lower existence, subhuman. 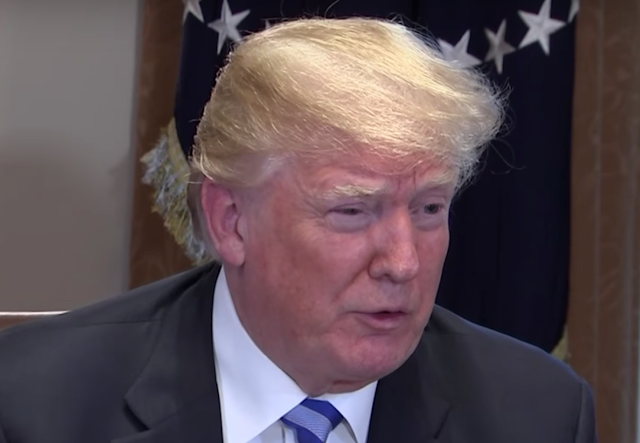 Moreover, Trump's nonverbal, verbal and paralanguage displays - all indicate strong egocentric motives and pleasure with regard to the ramifications of his immigration policy.